As a holistic nutritionist, I've learned the science behind what alcohol does to our bodies and while I don't necessarily recommend it, I also know that it's part of life and many of don't want to (or need to) avoid it all together. I'm all about balance and if that means that you have a drink here and there, that's a-okay in my book. Just like anything else we eat or drink, alcohol enters our body through our mouth. From there we swallow it, it moves down our esophagus and moves into our stomach. When it hits our stomach, about 20% of the alcohol is absorbed into the blood stream, with the speed of absorption depending on how much food we've eaten beforehand. The more food we have in our stomachs before ingesting alcohol, the slower the absorption process (hence why we think of “drinking on an empty stomach” as a bad thing/a way to feel the effects of alcohol more quickly). Now that about 20% of the alcohol is in our blood stream, the rest moves through our intestines where it gets further absorbed into the body. But what happens while the alcohol is in our blood stream? Well for starters, it can pretty much be carried anywhere in the body, but our body is also smart and so it tries to send as much to the liver as possible so that the liver can properly filter out the toxins. It also goes to the brain, which causes us to have that feel of being “tipsy” or “drunk”. Luckily for us, we have an organ like the liver which does in fact help us naturally detoxify. Problem is, our liver can only filter out less than one standard alcoholic drink per hour. So when we consume drinks more quickly than that, which in many cases and social situations we do, we have a toxic build up in our system and that's where we get drunk. When people consume alcohol to a point where they are vomiting, they have so much toxic build up that the body is literally forced to get rid of it by any means necessary (i.e. getting it out of our stomach, where absorption begins, as quickly as possible). Otherwise, we would be “poisoned” by alcohol. Kinda scary, right? That's why it's important to remember that when you drink, drink in moderation, drink slowly, and drink water in between drinks to help support your body's natural detoxification process. So now, let's just say that we did drink a little more too much and now we're feeling the effects the next day. What do we do? 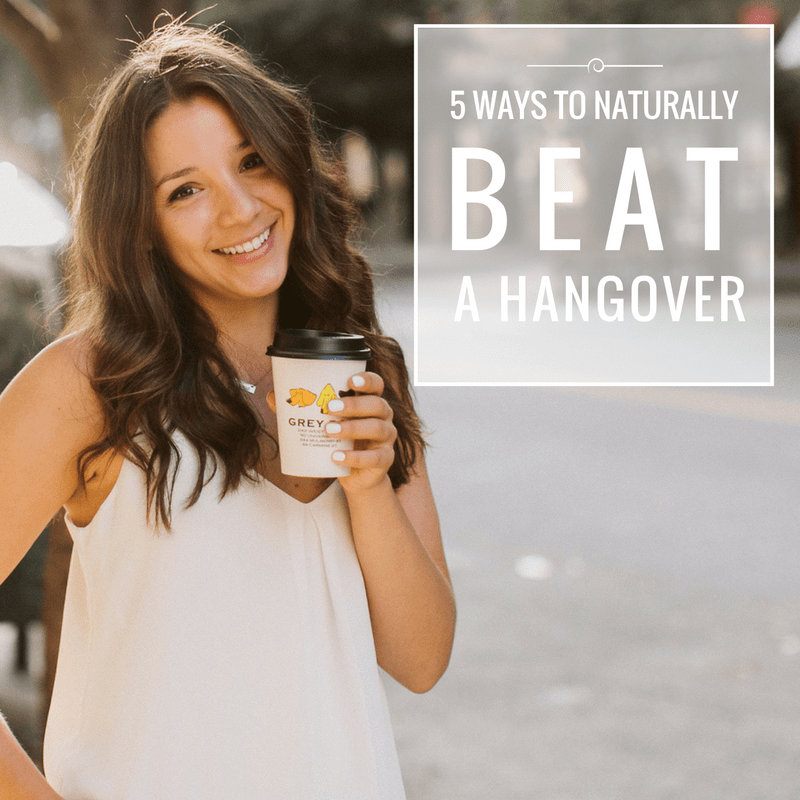 Here are some tips to naturally beat a hangover. Just as I stated above, it is so, so important to stay hydrated after a night of drinking. Alcohol is a diuretic which depletes your body of water and causes dehydration, so to counteract how you're feeling, DRINK UP! I suggest drinking at least 32oz of water upon rising and continuing to drink as much water and herbal tea as you can throughout the day. You'll be helping your liver and kidneys, and you'll feel much better in the process. Alcohol depletes some important vitamins, so I recommend taking supplements when you wake up the next day (even better would be to take them before a night of drinking as well as the next morning). The vitamin levels that get most affected by alcohol are A, C, D, E and K, as well as nearly all B complex vitamins. My suggestion? Take a high-quality multivitamin, as well as a b-complex vitamin (if you don't have a B-complex, definitely take a B-12). Other supplements I suggest taking: chlorella, turmeric and D3. After I drink my 32oz of water, and before consuming any caffeine whatsoever, I like to follow it up with my morning elixir. It's made up of warm water with the juice of 1/2 a lemon, 1 tablespoon apple cider vinegar and 1/2 teaspoon honey. If I'm feeling extra groggy, I'll add in some turmeric and medicinal mushrooms. Recovering from a hangover is all about supporting your liver and getting it back to a point where it can flush out the toxins properly. When you're opting for recovery foods, you'll probably be craving things like carbs, fried food, etc., but please, avoid those and instead opt for foods that will love your liver back. 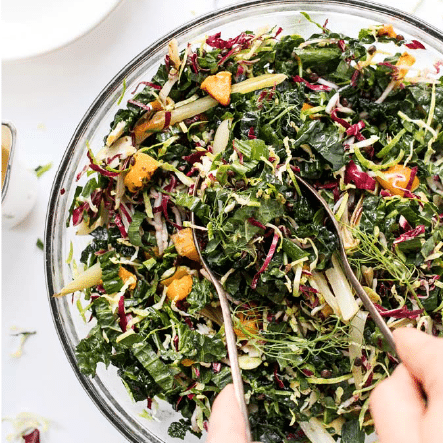 Cruciferous veggies like broccoli, cauliflower, kale and brussels sprouts are amazing for this, as are beets, carrots, lemon, grapefruit and avocado. My perfect recovery meal? An egg (or tofu) scramble with broccoli, kale, tomato and avocado with a green juice on the side. Filling, delicious and SO good for you liver! And finally, SWEAT it out, baby! Our skin is the largest organ in our body and it flushes toxins out by sweating. But don't worry, you don't have to do anything super intense. You can go to a hot yoga class or go on a light jog/brisk walk and follow it up with a steamy shower (or sauna if you're so lucky). Just do what you can to get a) moving and b) sweating so your skin can help to get those toxins OUT! And that's pretty much it! Again, be mindful of how much you're drinking, and if you're planning to have multiple drinks in one night, try to drink water in between each of them. But also remember this: we're striving for balance, not perfection. 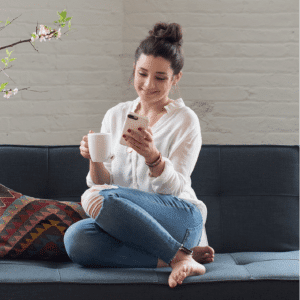 Do your best and follow these tips for when you need to! p.s. want even more in-depth info about how alcohol is processed inside our bodies? This article is amazing! Need an extra boost? Grab a copy of my DETOX Smoothie Guide! 8 brand new smoothie recipes, all of which are low-sugar and packed with detoxifying ingredients. 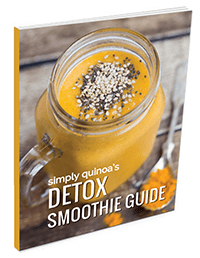 This book also contains a guide to everyday detox ingredients as well as tips for using smoothies to naturally (and safely) detox. Need some healthy recipe ideas to make?